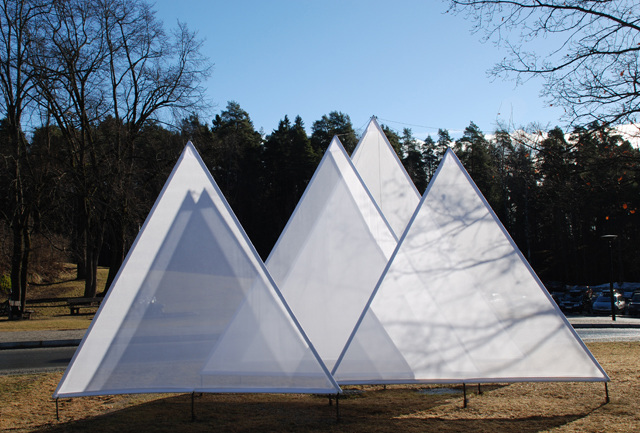 Mountains were the inspiration for the outdoor installation “Frozen Landscape”. 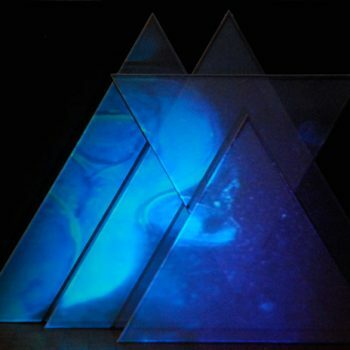 Abstract sounds, fanciful videos and dreamlike mountain formations. 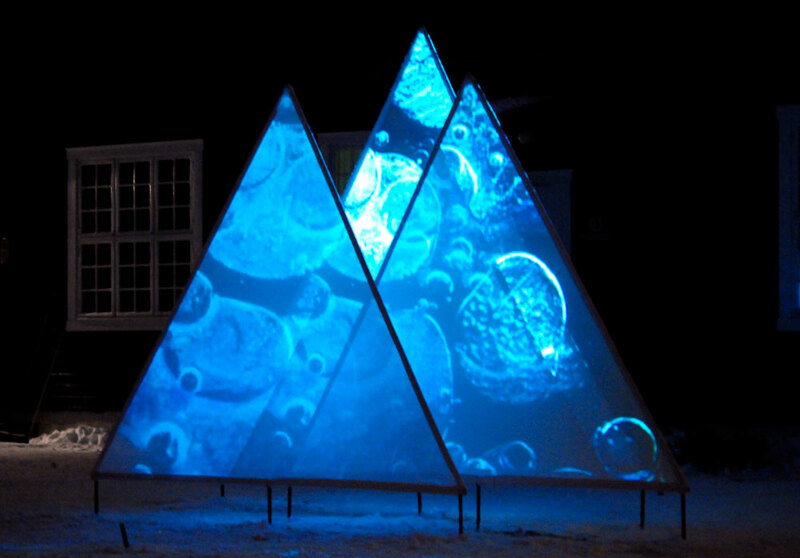 «Frozen Landscape» was commissioned by the Henie Onstad Art Center in 2008, for the Winter festival “Art Encounters” (kunstløpet). 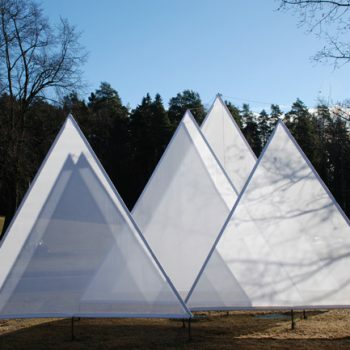 The mountain formations, which are stretched onto transparent canvases of different sizes, a frame of iron triangles drilled in frozen winter ground, are made by artist Vigdis Storsveen. 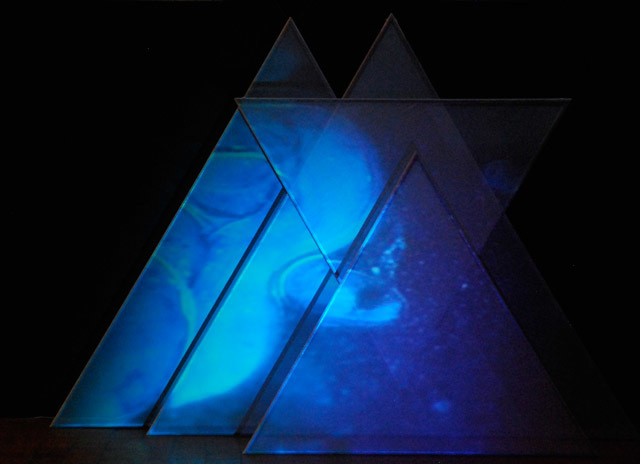 Video – projections onto the installation are Christine Istad’s photo-based videos, which consist of close-up studies of frozen lakes, and evoke associations to the universe and to micro and macro landscapes. 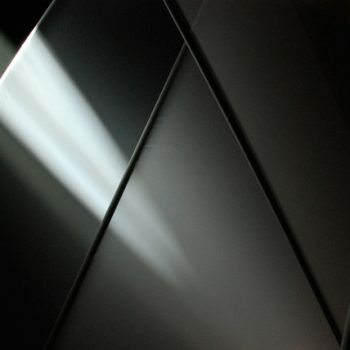 Mathilde Grooss Viddal (composition/recordings and electronic connections) has created a special audio composition, inspired of the arctic wind, mountain birds and the meditative winter landscapes. 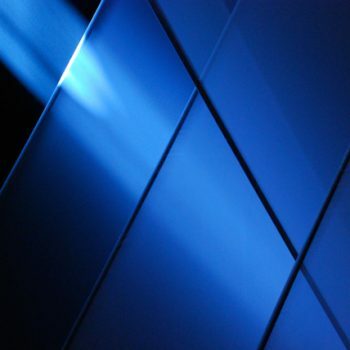 The audio work, recorded in NOTAM studio of her playing the bass clarinet, consists of several different compositions of varying lengths replayed from loudspeakers placed around the installation. 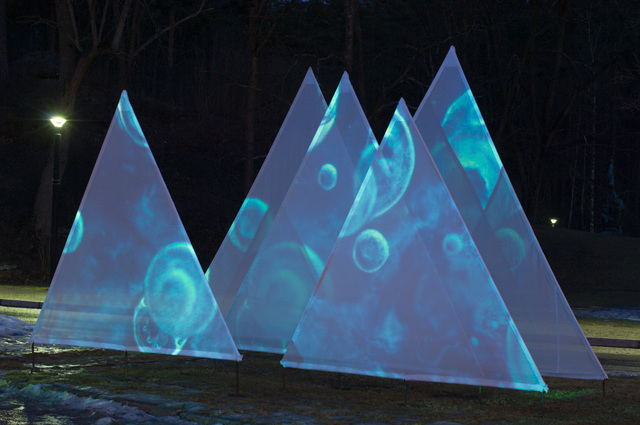 The different pieces of music were triggered by sensors as members of the public move between the “mountain formations”; the music was therefore constantly changing. In other words, at any given moment the public played an active role in creating the composition and the artwork. 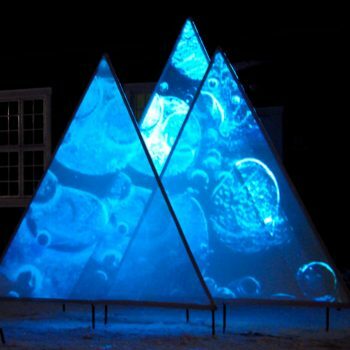 The installation “Frozen Landscape” was transformed from hour to hour as the conditions of light changed from morning to evening and as the public affected the different sound tracks. 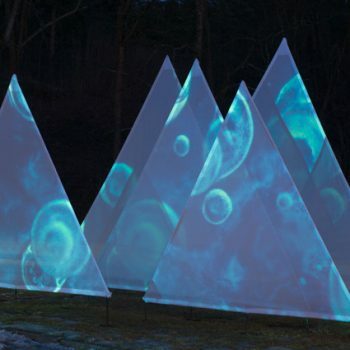 In this way, the installation alluded to the ephemerality and vulnerability of nature in the face of human encroachments. Two key interpretations of “Frozen Landscape” are as a comment on how important mountains are for our water supply, which is so essential to us, and on how our management of natural resources renders them vulnerable. 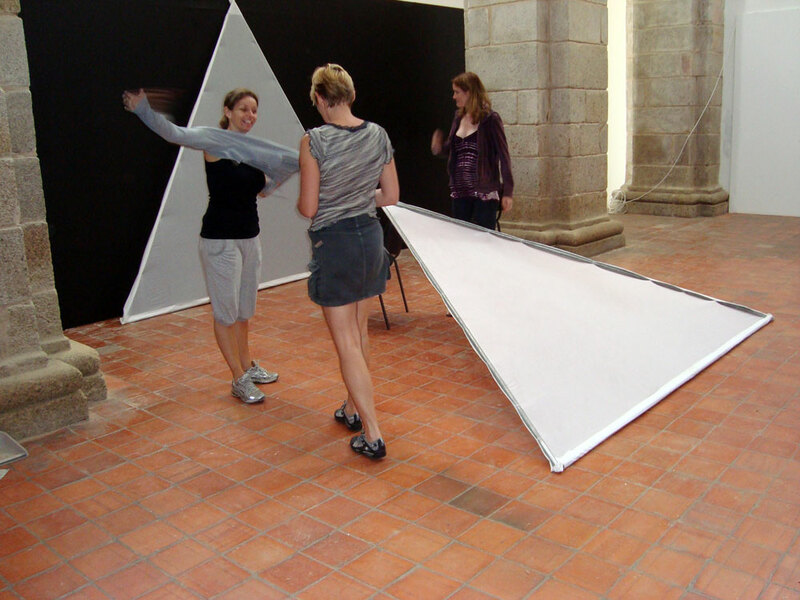 In 2009 Frozen Landscape were invited by the artist Karin Køltzow to participate at her exhibition in Portugal, commissioned by the community of Evora/Portugal. 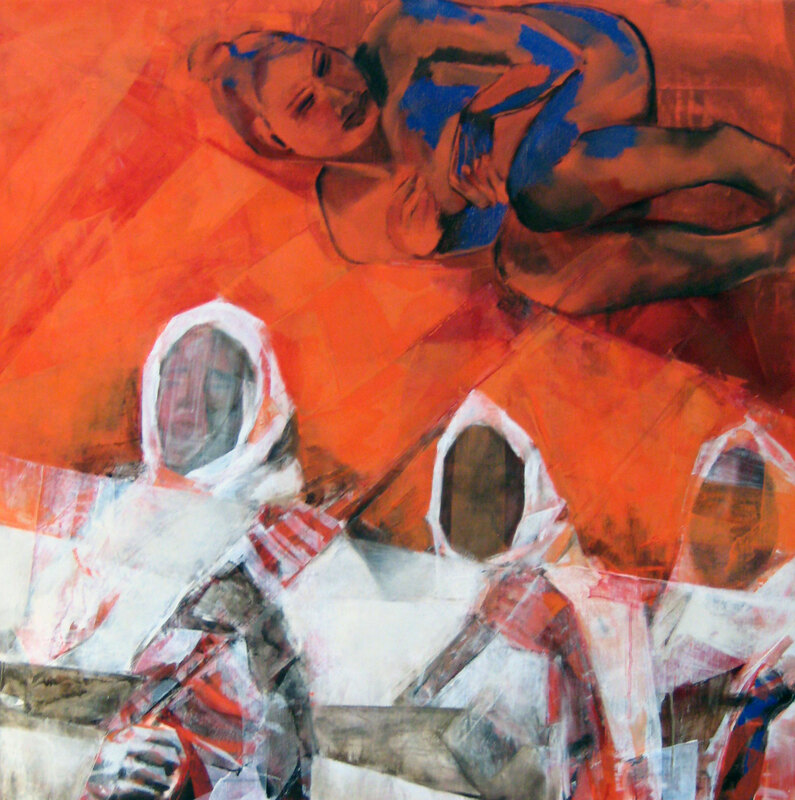 In the Ingreja de Sao Vicente, Karin Køltzow presented Hot Landscapes – paintings in tempura technique on canvases. 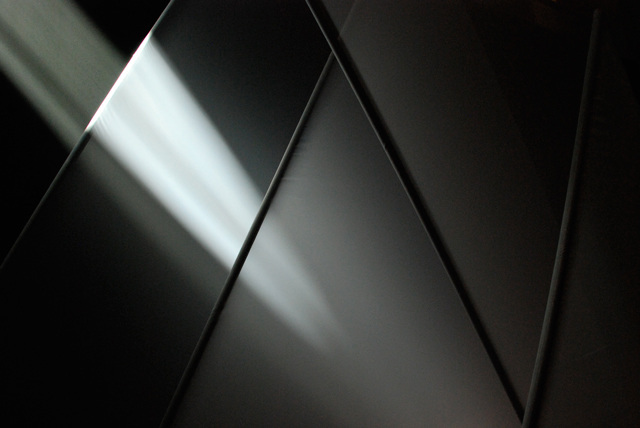 The Hot Landscapes were produced in December 2008 / 2009 and are a manifestation of our time – the desperation, the deterioration of values of mankind, and at the same time, the hope embedded in our hearts – The Hot Landscapes formed one part of the two-phased exhibition in the Ingress S. Vicente during BIME-festival. The exhibition was open from june 2nd to june 26th 2009. 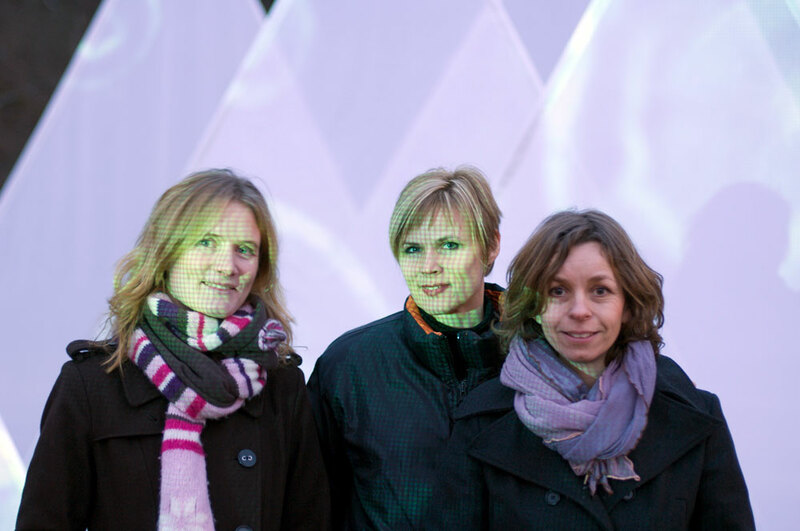 Hot Landscape versus Frozen Landscapes – immobile paintings versus an interactive installation. 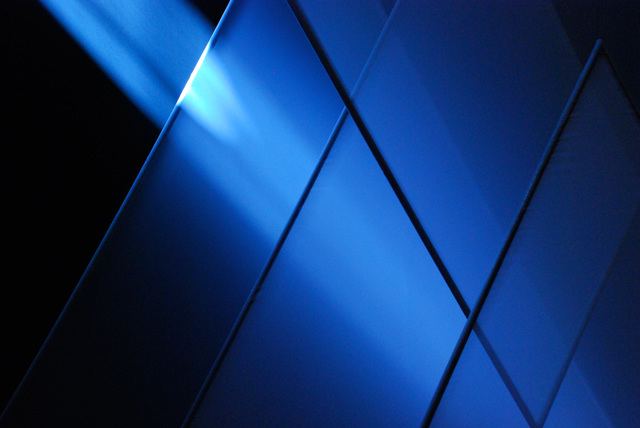 A silent demand for action versus an interactive demand for meditation. 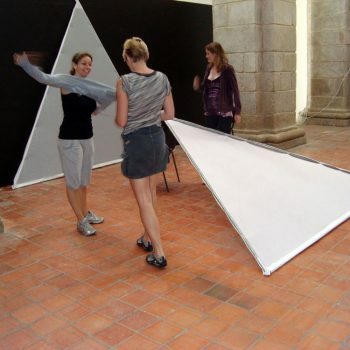 Karin Køltzow has exhibited paintings and drawings in Palacio Dom Manuel in 2000 and drawings in the Ingress S. Vicente in 2003. 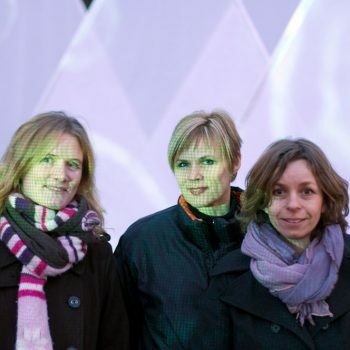 The painter Mette Nissen Melsom and the musicians Mathilde Grooss Viddal and Marianne Natvig participated at the exhibition «Musicians & Birds» in 2003.